A good friend has a birthday in a couple of days and ...she is a brilliant card maker. Do you feel funny about sending handmade cards to someone who also makes them? Does your family and friends refrain from getting you cards because you make them? I love sending cards because no two are ever alike, and love getting them, because they give me new ideas (store bought or hand made). I had to come up with something unique that I have never seen her do in her artwork. So......How about a floating butterfly? This card is made like a box so it folds flat for mailing, but when you push in the sides of the card, it turns back into a box shape....and it stands with no problems. With a little magic from some acetate, you have a butterfly that appears to be floating inside the box. Hope this is your best year ever!!!! Sorry...couldn't help but use a Penny Black stamp on this card. Every Friday I love to recognize newbies to my blog. Thank you so much for the kudo comments and I even had a couple of questions this past week. Looking for new inspiration? Several of these new followers have blogs of their own...check them out. Thank you, Penny, for the amazing card and the very kind words!! I can't wait for this work of art to appear in my mailbox. And you are right .. I have never floated a butterfly, but if anyone can do it .. it's you!! I love that you are my friend!! Big hugs! Fabulous birthday card! 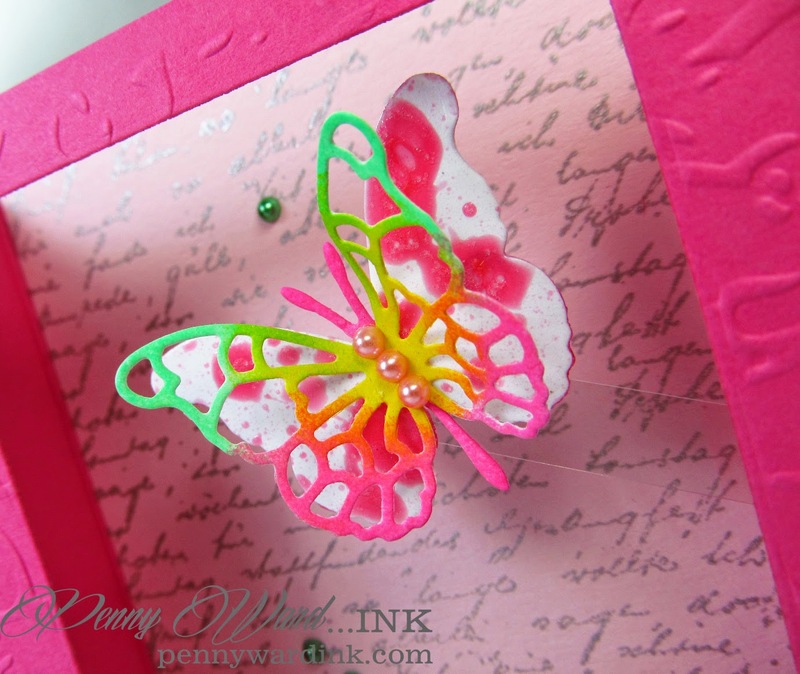 Love the bright colors and your design is so fun to make. This is so awesome - your floating butterfly really turned out beautifully!! What a great card to give to an accomplished card maker! !